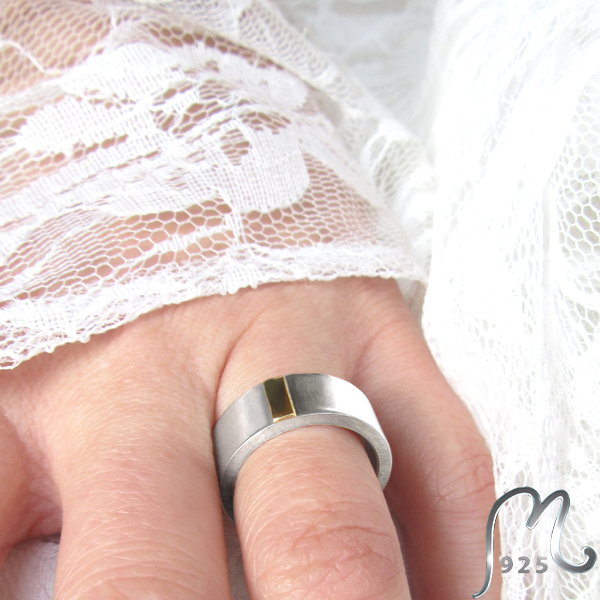 Wedding band with clean cuts and straight lines. 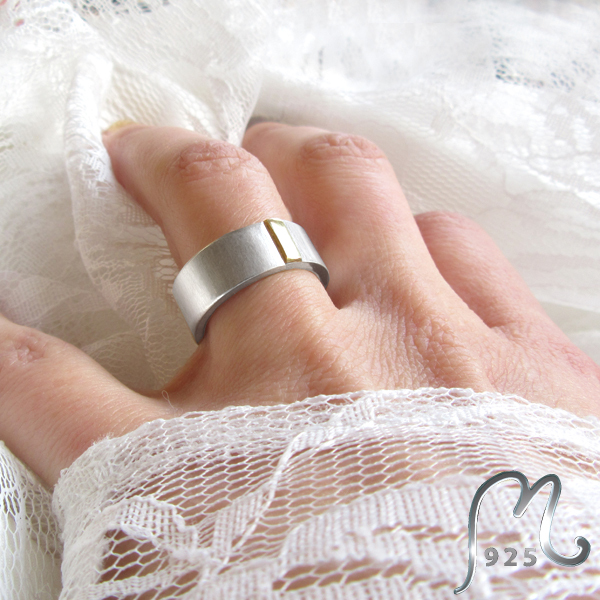 Matte ring in 18 c. white gold overlapped by a polished 18 c. red gold band. 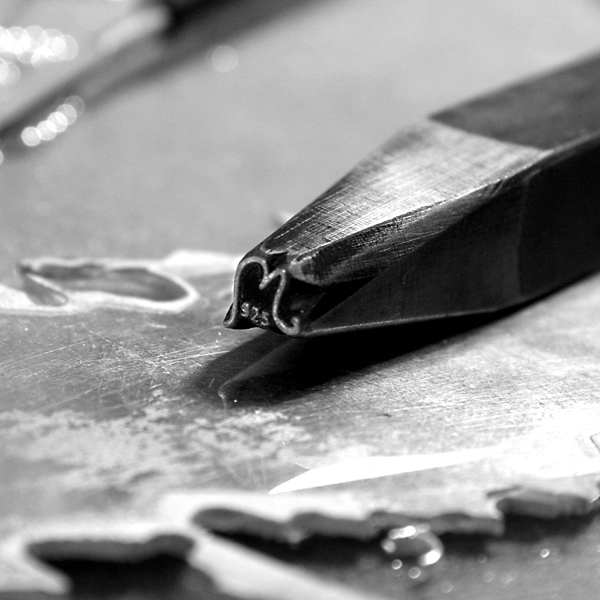 Made by hand in your own size. The price regards one ring. 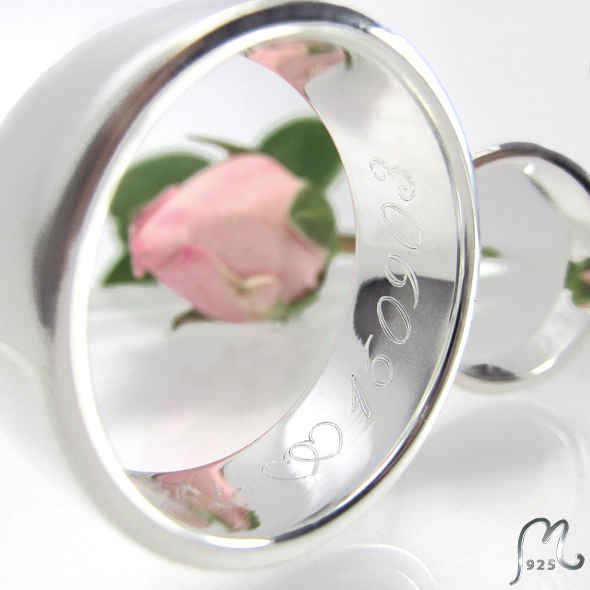 Personal engraving is included in the price. Material: 18 c. white gold and 18 c. red gold. Width: 8 mm. Thickness: 2 mm. Weight: Approx. 17 g depending on the ring size. Hand made in our own workshop and shop in Gothenburg, Sweden. Price per ring. 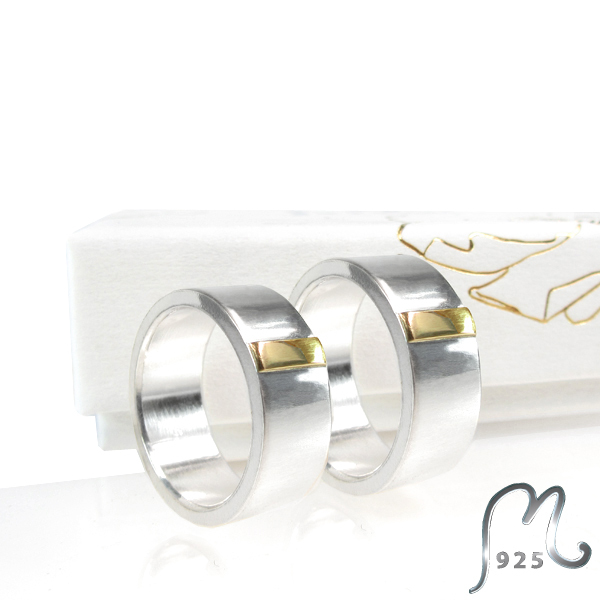 Email magdalena@m925.se if you want us to send you a size measurer (at no cost) N.B! For exact measuring we recommend to measure your size with a metal device, inhouse. 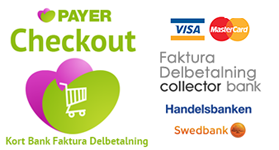 Please write your size in the text box in the Check out. 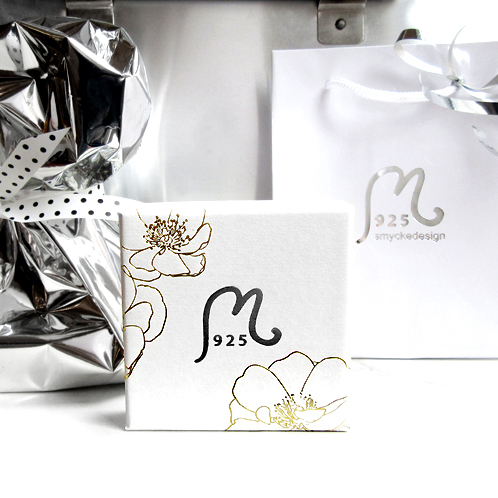 Gift box & gift wrapping included.